The city of Maple Heights and the nonprofit Western Reserve Land Conservancy’s Thriving Communities Institute have partnered to create a new 24-acre nature preserve at the Bedford border. The project was completed at no cost to city taxpayers. The parcel is off both Granite Road and Pennsylvania Avenue, adjacent to the boundary line with Bedford, and less than half a mile north of the Cleveland Metroparks Bedford Reservation. A stream valley connects the properties and serves as a basis for extending the corridor, and additional phases of this project could include a trail connecting an adjacent industrial park to the Metroparks. Project funding came from a Clean Ohio Greenspace Conservation Program grant and a generous bargain sale donation from the seller, Maple Heights Development Corporation. 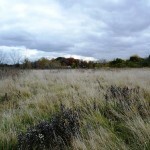 The Land Conservancy applied for the grant, which was approved by Natural Resources Assistance Council District 1 and the Ohio Public Works Commission. 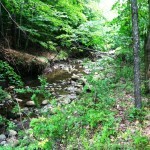 The project will protect old field habitat, upland forests, steep ravines and natural areas around streams. 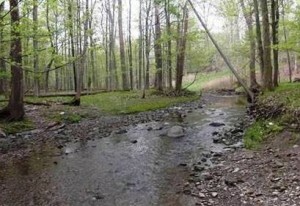 The property contains approximately 2,358 linear feet of streams, including a short section of Hemlock Creek (formerly known as Wood Creek) and several of its tributaries. 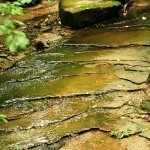 Hemlock Creek is a tributary of Tinker’s Creek, the largest tributary feeding into the Cuyahoga River. Maple Heights is a largely developed suburb with a population of 23,000. 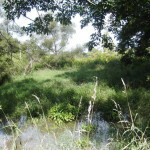 Preserving the land along the streams is a strategic goal of both the Cuyahoga River Remedial Action Plan and the Tinker’s Creek Watershed Action Plan. In addition, project officials said the property will offer the potential for future educational opportunities in conjunction with local schools, the Cuyahoga County Board of Health and other partner organizations. “I am pleased to have been a part of this important conservation project,” said Brian K. Garson, president of Maple Heights Development Corporation. As part of the project, the city donated a conservation easement that permanently prevents the property from being developed. The Land Conservancy holds the easement and is charged with enforcing it. The nonprofit Western Reserve Land Conservancy provides the region with natural places that nourish and support vibrant and prosperous communities by identifying, preserving, restoring and maintaining essential assets like clean water, working farms, wildlife areas and parks. The Land Conservancy preserves natural areas and farmland in 17 counties in northern and eastern Ohio, and its Thriving Communities Institute is working statewide to clean and green urban centers devastated by the foreclosure crisis. To date, the Land Conservancy has preserved more than 530 properties and nearly 40,000 acres.